This publication originates in a conference Youth at Risk, initiated by the Dutch Ministry of Health, Welfare and Sports and supported by the Federal Ministerium für Familie, Senioren, Frauen und Jugend of the Federal Republic of Germany. 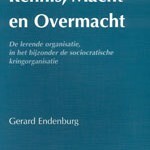 – Early school-leaving: the perspective of a qualification and labour market by Ben Hövels; – Youth employment in the Netherlands by J. Veenman; – Careers in a changing perspective: a need for actor qualifications by F. Meijers; – Social inequality and education in Germany by H. Rademacker & Klaus Rodax; – Careers and destinations: young people at the second transition by G. Westhoff; – New approaches to youth training and employment in Germany by P.W. 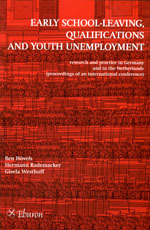 Kloas; – The transition from school to work as a challenge for European social policy by W.R. Heinz; – Vocational training of disadvantaged young people in non-profit-making companies by T. Lex; – Principle of vocational training for all as the basis for the social and occupational integration of disadvantaged juveniles in the Germany and European context by S.O. Lübke; – The transition from school to vocational education and training – Problems of East-German Youth in structuring a biographical place by D. Kirchhöfer; – The qualifications and skills necessary for survival on the highrisk job-market by W. Mack; – The significance of education and job-training by J. Dietrich; – These on the topic of ‘Immigrant children and adolescents in Germany’ by M. Bosl; – The case of Brandenburg by R. Mayer.